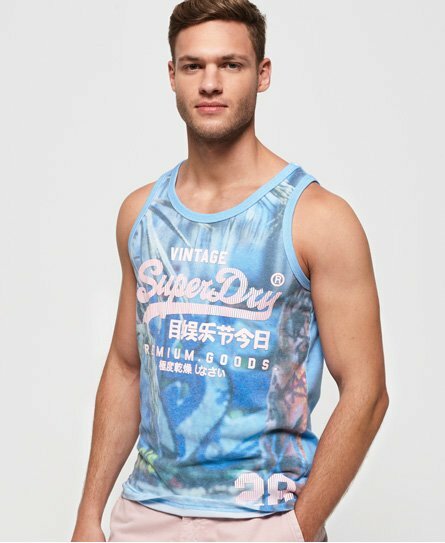 Superdry men's Premium Goods photographic vest. A summer staple, this vest features a textured logo graphic on the chest and number graphic above the hem. Pair with denim shorts and trainers for a relaxed look.